Women in Business Development Incorporated (WIBDI) introduced fine mat weaving as an income earning strategy for rural village women and their families. At that time the art of weaving very fine mats was almost lost. WIBDI staff ran workshops to teach the skill of weaving the fine mats to rural women. WIBDI seeks ‘sponsors’ (or buyers) for the fine mat, who are generally urban-based or overseas Samoans. The sponsors specify the type and size of mat that they want and pay WIBDI. WIBDI then arrange for a village woman to weave the mat. The fine mat weaving micro-entrepreneurs are paid on a weekly basis and WIBDI retains a small commission to cover some of their costs. 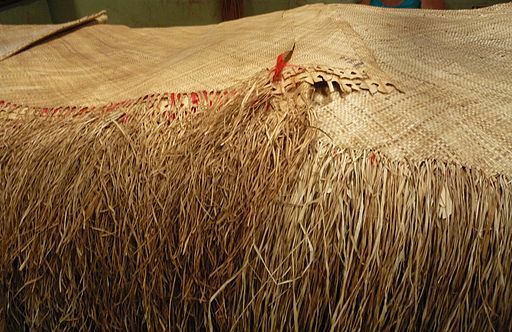 The making and gifting of fine mats is a very important part of Samoan culture and tradition. Fine mats are an extremely valuable item for gifting and ceremonies. The making of mats is women’s work, and the making and gifting of fine mats reinforces gender roles and social position as well as Samoan culture, tradition and art. It is an enterprise what we call Village entrepreneurship. In terms of livelihood outcomes, fine mat weaving earns cash for village-based women and their families which can be used for a variety of purposes including housing, education, saving and also for fa’alavelave (cultural ceremonies and events). Furthermore, the making and gifting of fine mats bestows considerable status and prestige on the weavers, and their families, leading to affirmation of cultural identity and a feeling of pride and well-being. In some cases the fine-mat weaving is so important to families that husbands have taken over household duties so that the women can spend more time on weaving. Fine mat weaving provides a livelihood opportunity (micro-enterprise) for rural Samoan women. 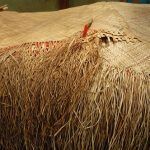 Fine mat weaving, supported by WIBDI, uses the resources and assets that rural Samoan people have to provide a livelihood opportunity (micro-enterprise) for rural Samoan women and their families. Cultural assets, including the traditional and cultural value of the fine mat, are arguably the most important asset type used in this micro-enterprise. Little equipment and no special buildings are required, leading to very little finance being needed for start-up costs. Natural resources (such as the pandanus plant used for the fine mat) are readily available. Training by WIBDI draws on, and enhances, the traditional knowledge, skills and capabilities required for the fine mat weaving micro-enterprise. Social assets, such as family and community networks, support the fine mat weavers, and are subsequently enhanced as a result of the weaving. The weavers are vulnerable to a number of risk factors that could jeopardize the sustainability of their micro-enterprises. Climatic events (such as cyclones) can destroy their natural pandanus resource. Many weavers perceive the cultural value of the mats to be worth more than the cash they receive, and prefer to keep the mats for themselves and their families, rather than sell. This threatens the economic viability of the micro-enterprise and furthermore makes it difficult for WIBDI to retain weavers to fulfil their orders. Maintaining the motivation to complete the mats is sometimes difficult for the weavers due to other family, community and cultural commitments (e.g. fa’alavelave). However, weavers are visited regularly by WIBDI fieldworkers and must have completed the quota (amount of weaving) set by WIBDI in order to receive payment. The weavers receive support, encouragement and motivation from WIBDI fieldworkers, but are dependent on the efficiency and sustainability of WIBDI for their livelihoods. Adapted from Cahn, M. (2008). Indigenous entrepreneurship, culture and micro-enterprise in the Pacific Islands: case studies from Samoa. Entrepreneurship and Regional Development, 20(1), 1–18.